Salman Khan just took the action benchmark several notches higher with an information revealing that the superstar pulled off a "brilliant action sequence" with a pack of wolves. Khan and Katrina Kaif starrer 'Tiger Zinda Hai' death-defying action sequence presumably will add to the edge-of-the-seat thrill. Director Ali Abbas Zafar said, "Tiger's encounter with the wolves marks one of the most important chapters in the film. The idea was to do something which has never been seen on the Indian screen and give Tiger's character an edge." "This is a very dramatic chase and action sequence between Tiger and pack of real wolves," he added. Right from the first look of the film, Yash Raj Films made it clear that it is going more than the extra mile to ensure that their forthcoming spy drama is all set to make a new benchmark in action entertainers. "Salman has been pushing the envelope in action over the years now and in 'Tiger Zinda Hai,' he has just taken it to a whole new level," informs the source. "Salman has pulled off a brilliant action sequence with a pack of wolves! This will take the excitement of seeing the film to a whole new level as people haven't seen this kind of action at all," the source added. 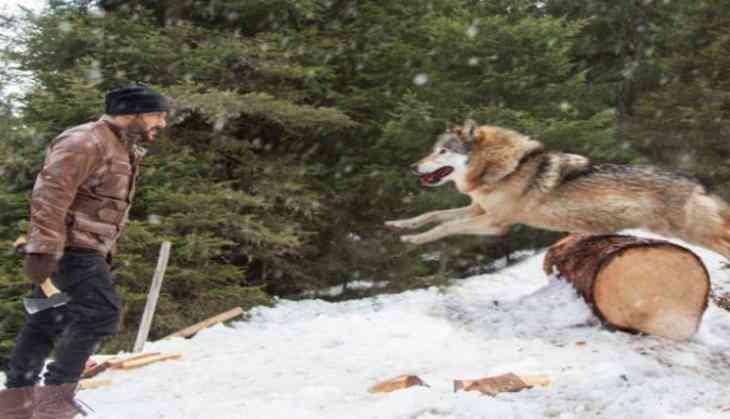 The scene has been shot in the snow-capped forests of Austria, where the international action crew took all cautionary measures to ensure that the wolves are well taken care of and that security measures were on point, the source stated. This is a dangerous sequence and the crew spent months planning this with specialised wolf trainers. The action crew lead by visionary action choreographer Tom Struthers has pulled off the unimaginable, adds the source. The much-awaited action entertainer is set to release on 22 December.